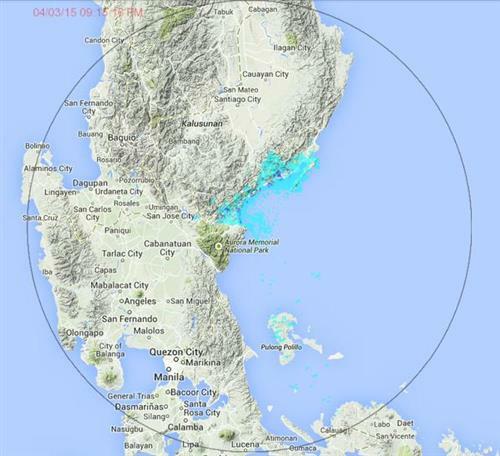 TC Update: as of 12PM today 03 April 2015, Typhoon #ChedengPH was located at 910 km East Southeast of Casiguran, Aurora (14.1°N, 130.3°E). 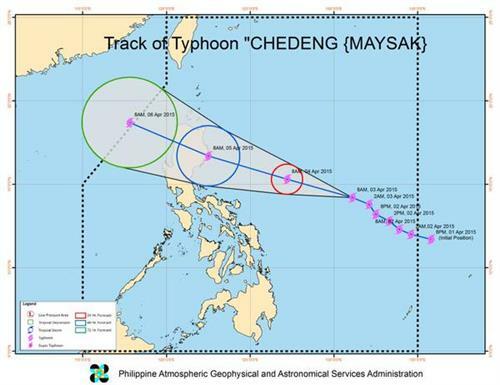 TC Update: as of 11AM today 03 April 2015, Typhoon #ChedengPH was located at 930 km East Southeast of Casiguran, Aurora (14.2°N, 130.5°E)..
TC Update: as of 09AM today 03 April 2015, Typhoon #ChedengPH was located at 725 km East Northeast of Virac Catanduanes (14.2°N, 130.9°E). 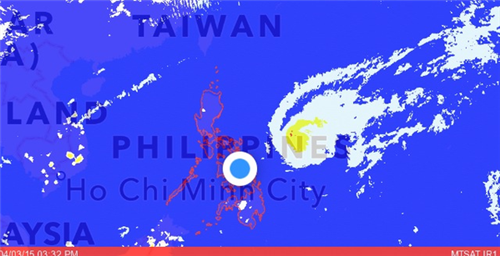 For:Strong to gale force winds associated with TY “#ChedengPH”. 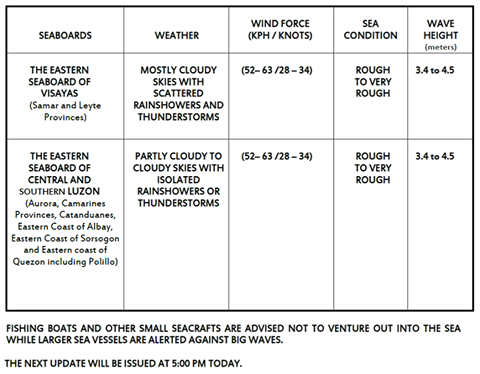 FOR: STRONG TO GALE FORCE WINDS ASSOCIATED WITH TYPHOON “#ChedengPH”.